How do you make your website Google-friendly? Website optimization is always a continuous effort, but if you do not begin optimizing now, it is likely that your website’s engagement and Google ranking will suffer. When your website is not optimized for Google, and consequently, other search engines, you lose out to other businesses that have been paying attention to how the online landscape has changed over the years. Change is a fact of life on the Web. But contrary to what many up and coming businesses might think, many of the changes in how websites should be optimized are ultimately for the good of everyone, including businesses, search engines, and billions of regular Internet users who go online every single day because they need information on the Web. How will your business get better results online? 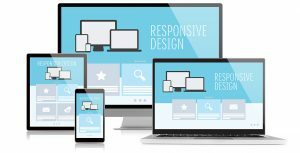 Responsive Web design has been around for years but sadly, not all online businesses have been paying attention to Google’s recommendations on how to achieve responsive Web design. The coding part is not so complicated, so if you are going to hire a small coding team or SEO agency to revamp your website, upgrading the existing HTML code with responsive Web design will be quick and painless. To summarize, RWD is all about sending the same HTML code to any kind of device, and allowing the browser on the receiving device to use CSS to render the website visually. An essential aspect of RWD is changing the “viewport” of the page so that it automatically matches the size of the screen of the device. A large chunk of Internet users now use their mobile phones more than their laptops an PCs, and you have to take this into consideration when designing your website. How ready is your website for mobile phone users? Have you ever tried navigating your website’s many functions and pages using your mobile phone? How was the experience? A website with RWD enhances the user’s experience and makes it easier for people to find the information they need. This is achieved through several steps, but the most obvious trait of an RWD-enhanced website is users will only be able to scroll forward or backward vertically, but not side to side. Having to scroll a Web page horizontally results in a generally poorer user experience. A Web page that has to be scrolled horizontally will probably have images that are too small to appreciate immediately after the page loads and the text on the page is also probably laid out for larger screens. When a Web page is rendered for a wide screen, the lines of text are longer, the images are scaled poorly (either too large or too small for the screens of mobile devices) and a mobile user will have to tap the screen several times just to read what is on each page. With such dynamic competition in nearly all markets on the Web, why would users ever stick to a website whose content is tough to read or access in the first place? People go online because they want accurate, relevant information fast. From this angle, how is your website doing? The technical innovations of the last ten years have considerably boosted the loading times of commercial websites. Ten or fifteen years ago, it was considered “okay” for a commercial website to load slowly, because there were GIF files (remember those flashy, glittering banners GIFs that welcomed website visitors? ), huge picture files, and other clunky elements strewn all over the page. 1. Test, test, test – Recent user surveys reveal that 40% of users will abandon a website if it takes more than three seconds for it to load properly. Of course, there will be geographic disparities in bandwidth and Internet speed, but for North America, Canada, and other countries that have long established high-speed Internet connections, three seconds is all you have to impress. Question is – how much of your website appears properly in three seconds? Ultimately, we are also appealing to Google to rank your website higher. Google includes the website’s loading speed in its index to determine page rank for specific searches. Check out Google’s PageSpeed Insights to see how your website ranks right now. 2. Analyze individual page components – Tools like YSlow are useful in pinpointing potential problems in website design. Thing is, when people design a website for the first time and begin adding plug-ins, sign-up boxes, and other components, all of those additional elements begin to take a toll on the website’s loading speed. Ultimately, a business needs to decide how to perform specific functions on a Web page without weighing it down too much. Obviously, a Web page that has too many images or simply the wrong code will not fare well in a page loading test. 3. Upgrade your hosting – This surprisingly effective step can solve your page loading times almost instantly, if your website’s layout and coding is already optimized. What usually happens is that people sign up for the cheapest hosting plans they can get (because they are “testing the waters,”) and eventually, the commercial website begins to expand, but the hosting plan remains the same. The solution to shared hosting blues is a VPS. A VPS or a Virtual Private Server is actually a virtual machine offered by hosting services for commercial Web applications and websites. When you have a VPS, you have your own copy of the operating system and a virtual machine that is handling only the activity from your end, and not from multiple websites. We recommend VPS hosting because it is more cost-effective than physical dedicated hosting, and you can scale up or down, depending on your actual needs. Hopefully, your website’s business picks up in the coming months and years, and the traffic will encourage you to scale up your hosting once again. 4. Optimize your website’s images for the Web – Unless your website is all about high-definition photos that are 16-25 MB in size, your images should be reasonably clear but are smaller in digital size than conventional scans of physical photographs. Sure, huge HD photos are nice to look at, but do users go to your website mainly to look at HD photos? If the answer is no, then you have to reevaluate how you have been using photos and what type of photos have been making it to the final cut of your Web pages. First is to modify the resolution of the image. This can be done by image file resizing software easily. There are even Web apps for this type of process, though you may have to pay a monthly subscription fee if you want to upload hundreds of photos for resizing. Second is to compress the photos. Again, you need image editing software for this. Compression allows for higher efficiency in the rendering of an image file, so that fewer kilobytes are needed to store the image. Third is to crop or cut images. If you only need one area, for example, you can snip away at the rest through Photoshop or if you want something quicker, use a screen capture tool. Pay attention to your title and meta description tags. Present adjustments in Google search engine results have expanded the available space for meta descriptions to about 60 characters. Maximize this space. The tags on your website need to be engaging, unique, and highly descriptive. Give your readers exactly what they need in a way that draws attention from the competition. Claim local business listings and geo-specific citations. In addition to Google Maps and Google My Business, also give some effort in claiming or having your business listed in yellow pages websites and other smaller business listings that cater to the specific city/town that you have in mind. Remember: what people see during Google searches depend on where they live, or at least, where their device is connecting from now. Make sure that your business is not taking a hit from bad online reviews. In addition to answering neutral or negative online reviews, you may also want to request from customers actual reviews so your business can be rated properly online. The reviews can be posted on your website and on other relevant review websites. A recent survey showed that upwards to 84% of people who look for restaurants, products, and services on Google trust reviews and ratings from different website before making a decision on whether to give a business a chance or not.